Natalie Merchant is going to sum up her solo career, to date, with a new 10-CD box set. 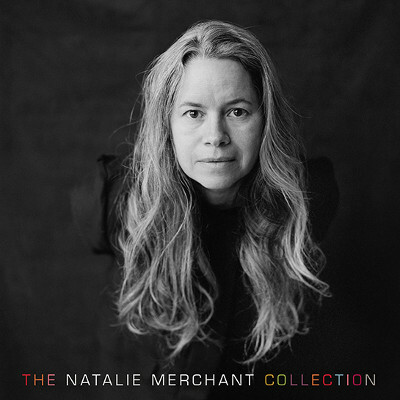 The Natalie Merchant Collection, coming from Nonesuch on June 23, collects her seven studio albums and adds a new set, Butterfly, and a disc of rarities. Merchant started her musical career while still in college with the band 10,000 Maniacs. After twelve years as their lead singer, she struck out on her own with the 1995 album Tigerlily and the hits Carnival, Wonder and Jealousy. Since then, she has released six more albums with some very interesting projects including the covers album The House Carpenter's Daughter, Leave Your Sleep which included songs based on 19th and 20th century poetry about childhood, and Paradise is There, a reimagining of her Tigerlily album. All of those are included on the collection along with Rainbow, a new set with four originals and six reinterpretations of songs from her catalog arranged for string quartet. The tenth disc of the set collects rarities that were never included on other Merchant albums that ranges from the Kinks' The Village Green Preservation Society to the traditional The Lowlands of Holland. Also in the set is a 100-page lyric book that also includes archival photos.